Discussion in 'Newbies & FAQ' started by Xeneize, Sep 20, 2014. Discuss greetings from Argentina in the Newbies & FAQ area at TalkCeltic.net. Dear Friends of Scotland. I just saw a video of his fans and the truth too excited because I chanted the name of my country and both you and we have suffered much pain from pirates. 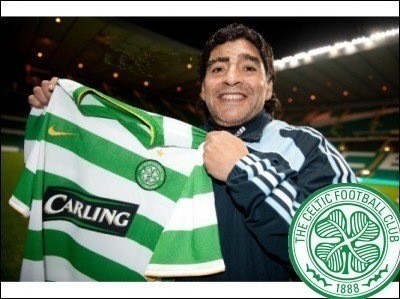 I want to say that I appreciate and have gained a friend and fan of the celtic new here in Argentina. If anyone ever comes around here visiting not hesitate to contact me and I will receive you with pleasure. Welcome always loved the boca juniors football strip. Boca Juniors are a great club. Never mind all that did u vote aye or naw? Anything to do with Diego Armando is way way up their for me so you are welcome any time on here mate. I've been lucky enough in my life to attend some incredible games all over the world but the one I have right at the very top is Boca-River. Diego Maradona is the greatest!! 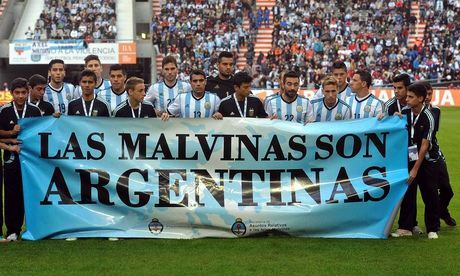 Las Malvinas is Argentine. Thank you very much to all !! Scotland will always remember the hand of * against England...beautiful.